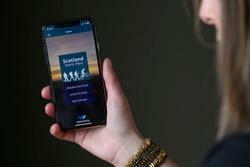 Midlothian and Borders Tourism Action Group (MBTAG) has devised the app – Scotland Starts Here – to encourage people to stay even longer in this stunning part of the country. “The new app is free to use and easy to download. It has everything from interactive routes, maps, itineraries of what do depending on your mode of transport and interests. It even has some fantastic audio telling stories through the areas many myths, legends and songs. “The new MBTAG Scotland Starts Here app is one of a number of exciting projects being taken forward this year to promote the Scottish Borders as a destination to stay in and explore. “These include VisitScotland’s See South Scotland campaign, the opening of Jim Clark Museum and investments in key Scottish Borders events such as Melrose Sevens and Borders Book Festival. MBTAG brings together the wide range of businesses that make up Midlothian & Scottish Borders tourism sector, including transport and accommodation providers, attractions, venues, theatres, shops, bars, restaurants, conferences, events and festivals. Its role is to create new products and experiences.